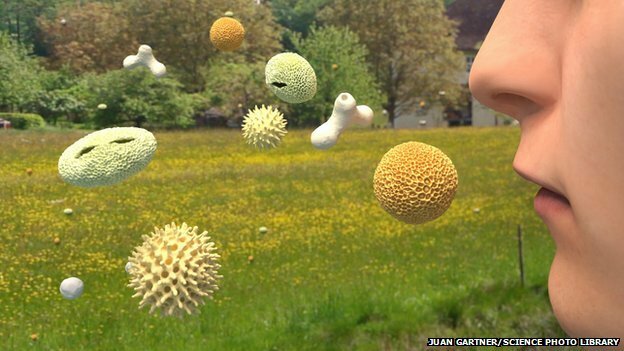 This week i caught an interesting documentry on BBC 2 called ‘Allergies: Modern Life and Me’; the main premise of this show was in explaining the rise in allergy sufferers in modern western society, with a third of the population being affected in some way or another. While in the past there have been various conflicting views over the cause of allergy suffering in children, there is now a greater consensus with new evidence, suggesting it is to do with the levels of healthy bacteria we are exposed to in early life, from both what we take in from our mothers and the direct environment we are born into. Parents who allow their 9-year-old to play unsupervised at a playground can be arrested, but handing a nine-year-old an Uzi is perfectly acceptable. Unfortunately, that’s not hyperbole. It’s just the sad state of affairs in which we find ourselves, after a 9-year-old New Jersey girl accidentally shot and killed her instructor at a firing range in Arizona. The girl’s parents paid for her to fire a fully automatic machine gun, but she lost control of the weapon and shot her instructor, Charles Vacca, killing the military veteran. The chilling ordeal was caught on tape, courtesy of the girl’s parents, but Arizona police officials have said no charges will be filed or arrests made. The Mohave County Sheriff’s Office concluded the incident was an “industrial accident,” and have contacted the Occupational Safety and Health Administration to investigate, according to published reports. We all know how important this is, but few people do it consistently. Other than health benefits too numerous to mention, exercise makes you smarter,happier, improves sleep, increases libido and makes you feel better about your body. A Harvard study that has tracked a group of men for more than 70 years identified it as one of the secrets to a good life. Will you admire repulsive persons in the future? “Maria Popova: This particular book explores the rather common experience of seeing someone as both frightening and repulsive until we get to know them — one manifestation of our broader, fundamental fear of the unfamiliar. Did you have such an experience yourself, either with a teacher or with another figure in your life, that inspired the book? We have written many times over the years about the potential benefits of easy access to data and computing, but we’ve probably never done it this well. The guest on this week’s Structure Show podcast was Kalev Leetaru (pictured above), the Georgetown researcher behind the Global Database of Events, Language and Tones (GDELT), which we have covered before, and who also helped the Internet Archive with the book-digitization project it unveiled this week. Leetaru, who has spent time programming supercomputers, talks all about the amazing shifts currently underway in information technology that let people gather, store and analyze data with no physical gear and just a few lines (or a single line) of SQL code. One of Leetaru’s recent projects analyzed the 120 days surrounding the ouster of Ukrainian president Viktor Yanukovych in order to find the most-similar 120-day periods globally over the past 35 years.